As expressed in your feedback, token-based authentication functionality is crucial for JsonDataSource usage. This post describes how to implement this feature in v18.2 and then introduces our built-in implementation to be released with v19.1. You are a report developer and want to bind a report to JSON data at runtime. You want to allow end-users to set up a connection using the Report Designer. The complete implementation code is available on GitHub. Customize the wizard pages and embed two additional editors. Use a custom IWizardCustomizationService interface implementation, as described in our Wizard Customization Overview documentation topic. 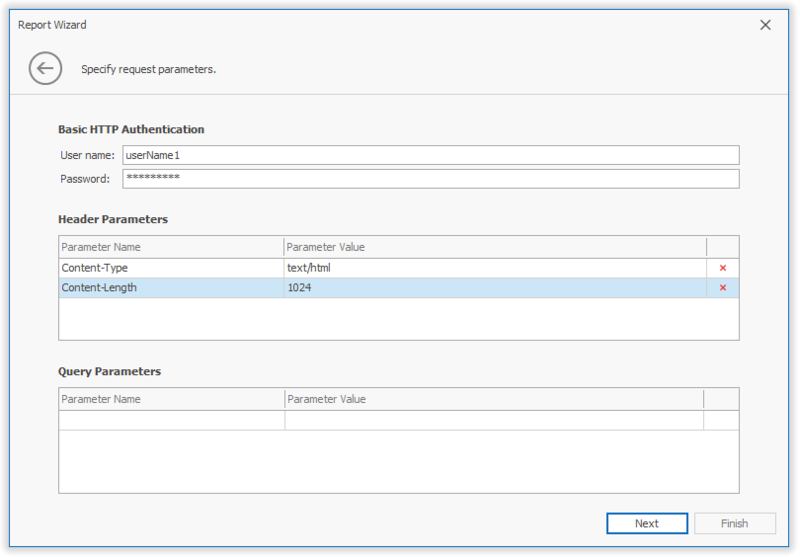 Extend the IChooseJsonSourcePageView interface with UserName and Password properties. Implement a custom View that’s inherited from the ChooseJsonSourcePageView page . 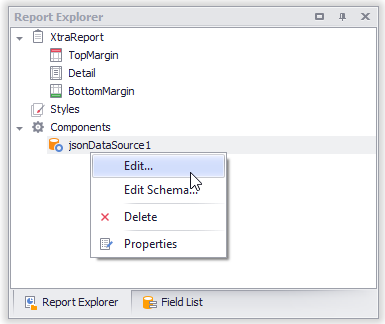 Make changes to the ChooseJsonSourcePage<TModel> presenter. Next, implement a UriJsonSource descendant as discussed in the previous section. The sample above uses a separate file to store property values. You can customize this code to meet your requirements. Once all steps have been completed, the Report Designer will allow end-users to connect to the required data sources. We provide three authentication options: Basic HTTP Authentication, Header Parameters and Query Parameters. 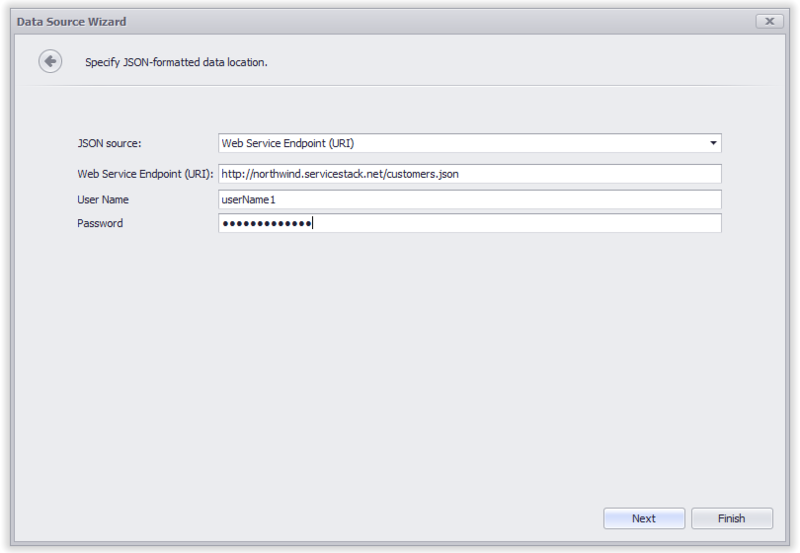 The last option allows you to specify custom query string values to be passed with a web service request. Let us know whether your use cases for such data sources are fully supported by our v19.1 implementation. We received a request to embed a predefined header parameters set into this wizard screen. We are also considering the capability to map report parameters to JsonDataSource request parameters. We would love to learn more about your needs. Please take a moment to cast your vote in the survey below.